Learning something new can sometimes be a difficult challenge, but as we all know, it’s the most rewarding feeling when we succeed. Eric Taves first joined the Y in 1980. Just before that, he had finished his high school education and law degree in Toronto. Originally coming from a farm community in southern Ontario, his background comes from the Russian Mennonite community. In the Russian Mennonite farming community, the notion of community, sharing, and volunteerism were all very much part of the community. Eric’s parents were not orthodox. They didn’t have buggies and black cars but were a part of a church based/faith based community. They were not in any way visibly different from their neighbours. They elected to attend a public high school, although they had a Mennonite high school. They were not any different from the broader community, in any sense at all. Both parents were Russian immigrants in the 1920s. There was a large Russian diaspora of Russian Mennonites in the late 1920s after the Russian revolution, because of the marginalization of the Mennonite community by post revolution Russia, so they both depended on each other. They carried with them their rich values and rich traditions. Eric had four brothers. With his father being a farmer and having five sons, he had a really big labour pool. His approach to farming was to always make it as intensely as he could. There were no Taves daughters. Eric decided in the 1970s that at the end of his law studies he would move to Barrie. He was also partly seeking an organization that was very much a part of the community, an organization that reflected the texture of the community. He wanted something that would fill some of the needs that he had recreationally and athletically, but also an organization that did good things. Around the year 2000, Eric had volunteered in various capacities of fundraising. 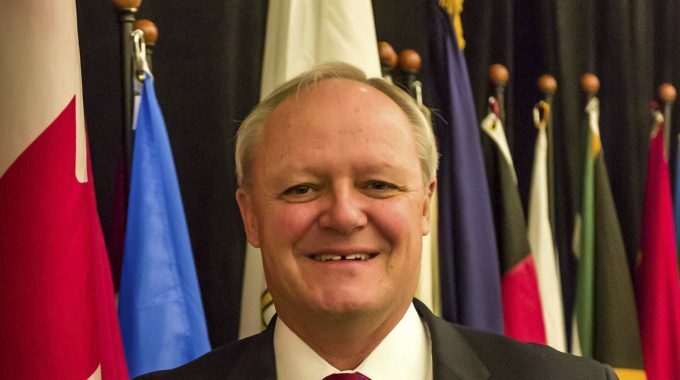 He became part of the YMCA board of directors, allowing him the opportunity to take on a leadership role at the Y to better understand the breadth of its programming, to be a voice for the community, and to be a voice of the YMCA back to the community. Eric believes the Y is a really important organization locally, nationally, and internationally. The Y is an example of civil community and civil society, open and accessible to everyone. It reflects the face of the community and offers opportunities for growth. Whether you’re ten years old or if you’re ninety years old, it offers opportunity for community, opportunities for learning, and opportunities for volunteerism. It plays a really important role with youth, generally with challenged youth. 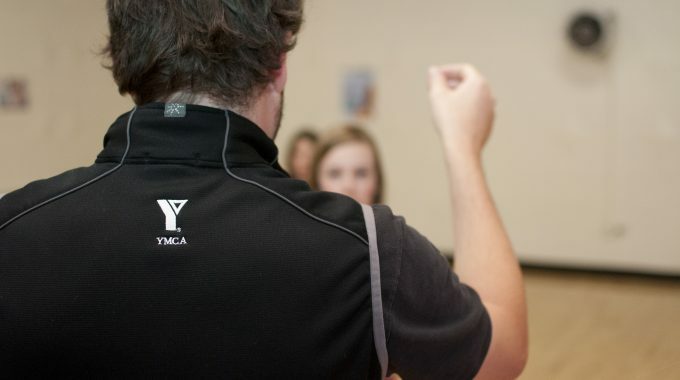 The Barrie YMCA responds to needs of the broad range of community needs, in a way that it is uniquely trained for and uniquely positioned for. One of the things that the Y does is introduce a non-judgemental, safe, and comfortable way for people to try new things. If you’re a fifty year old who has no background of going into a weight lifting facility or a cardio workout facility, the Y offers a uniquely comfortable, supportive context. When Eric first joined the board of directors for the YMCA in the year 2000, it was simply called the Barrie YMCA. Now it is called the YMCA of Simcoe Muskoka. In 2002, they decided to merge the board of directors of Barrie, Orillia, Midland, and Collingwood YMCA, creating a single board to govern those four individual YMCAs. Eric became the chair of that merged board in 2004. They were a board that had four representatives for each of the four Ys. It then became the YMCA of Simcoe Muskoka. It gave Taves a tremendous opportunity to learn leadership and play a leadership role, working with volunteers and staff. It gave him the opportunity to dream and also to look at the mission of the Y (looking ahead ten years) in terms of what would the service be to the community. Jim Commerford, who was on the board of directors at the time, had been asking Taves for years to join the YMCA board of directors. The board of directors had always met on a Mondays. Taves had an excuse because he was attending choral music rehearsals every Monday (another interesting hobby of his). So he approached Eric at the Y one day and said, “Eric, we’ve moved our board meetings to Wednesday, what’s your excuse now?” Eric didn’t have one so he agreed and joined. That was the start of his board involvement at the Y. This is not the first board that Eric has been a part of. Eric has been the chair of the Maclaren Art Centre board, the Big Brothers Board of Directors, and a member of the Canadian National Board of Directors of Canada. Eric Taves has made some of his truly important lifelong friends through the Y. They are very special to him and their roots are in the Y. For many of them, the common denominator remains the YMCA, and that has been a rich addition to Eric’s life. The sense of being part of an organization that reaches out into the community has been really rich to him. Early in his Y experience Eric met a wonderful man in the work-out room named Willard Kinzie. Willard is known throughout the continent as one of the really experienced back packing/hiking leaders. His adventures were called Willard expeditions. Willard kept encouraging Taves to join him on a hike: “You’re a fit guy Eric. I think you’d like this. I’ve got an extra tent, I’ve got extra hiking boots, and a backpack, so why don’t you come?” Finally, Willard convinced Eric to join him on his Grand Canyon expedition. After doing so, it inspired Eric to continue going on backpacking/hiking trips. He has recently just returned from the Highlands of Scotland where he was hiking for a week. Willard definitely had an effect on Eric’s confidence. If he had never encouraged him to get out there, he realizes he may not have done it in his own time. He also had an effect on Eric’s capacity to think of other opportunities and to challenge himself physically. He helped Taves come to appreciate the incredible beauty of the natural world that he already loved, and now could experience on foot. In 2007, Eric went to Sierra Leon for just under 2 weeks. The Y is partnered with the Sierra Leon Y. He had the chance then, as a guest of the Sierra Leon Y, to travel that country and learn much about it. He got to experience all the riches of that country despite all of its challenges and hardships. This country had a civil war that killed approximately 50,000 people and wounded 10,000 others. It was amazing for him to walk with the Y volunteers and to touch and be touched by these young men, some of whom were victims of the war and had no hands and had been child soldiers in the war. Many were being helped by the YMCA in terms of reconciliation and training for careers. Eric said it was just a wonderful experience. Another thing that is memorable to Eric is that he had a chance to go to Mexico City with the Y and be part of a conference of YMCAs of North American and Central America. He learned so much about the world of the Central American countries and the challenges of their Y, and the challenges with their youth. There are many young people who are part of a train that goes north to the U.S. to try to find illegal work. Dealing with all the instability is part of the important role the Y plays in those communities. Eric describes the YMCA as a welcoming place. “Come as you are.” It’s a place that will try to listen to what your needs are and what you would like to achieve in the context of what the Y offers, and help you with that goal. It’s a place to find community. It’s a safe place. It’s a place where you will not be judged, but encouraged to grow and to fulfill your own potential in a very special way. Eric Taves is now retired from the Y since 2010, but you will still find him there 5 days a week. He’s still very active at the Y and tries to go every day. He still takes part in some advisory committees, is active in the annual giving campaign, and attending most major Y functions. Eric encourages people to get out there, join the YMCA, make new friends, learn something new, and see what adventures it takes you on.